21 exceptional artists with a diversity of styles and mediums, who have developed a forum to showcase their art in the Perth area. Take a look at a map of the tour, download our brochure, and get in touch! Art Works! Perth is an organization of creative artists working in, and close to, the heritage town of Perth, Ontario. The group was founded to provide a network for rural artists to come together to talk, learn, develop ideas and provide opportunities for other artists and community members to become involved in the visual arts in the Perth area. The heritage aspect of Perth, Ontario has attracted an extensive number of artists, actors, and crafts people to live in Lanark County, which in turn draws people from all over Ontario to visit and engage in cultural events. 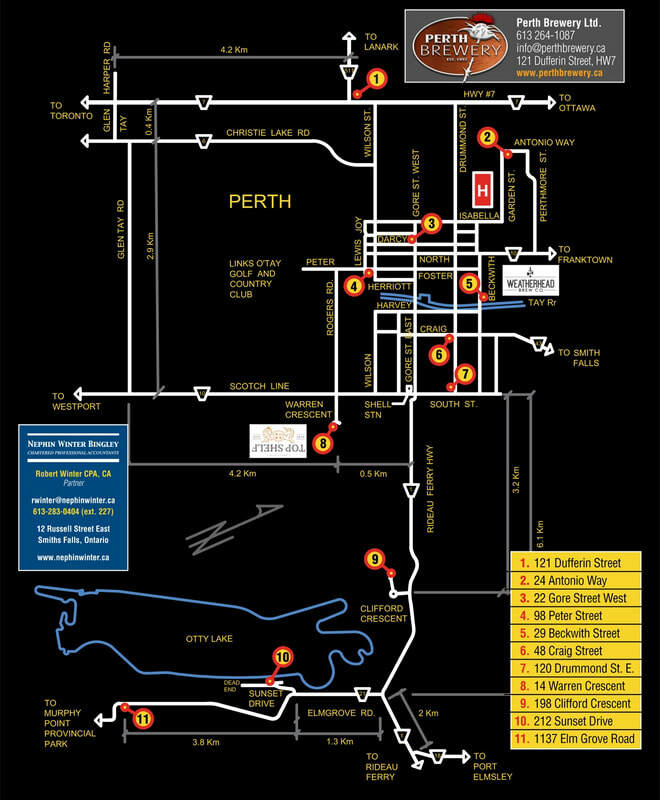 When you think of arts & culture, you'll think of Perth. When you visit Perth, you can visit boutique stores and galleries, watch a play, listen to live music or check out crafts people at the local Saturday market. And now Art Works! Perth is providing an opportunity to meet the people who make art. Why a studio tour? The country around Perth is a vast area. Hidden away in the town and countryside are artists who are interested in inviting the public into their studios and neighbourhoods to connect directly with the artist and to see where and how their art is made.